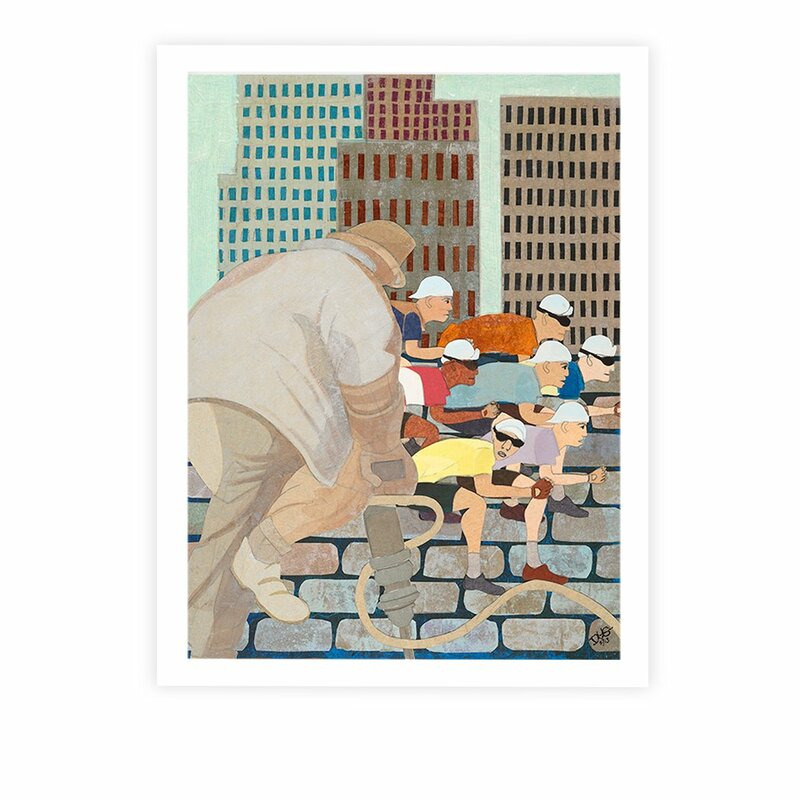 The skyline of Diego Rivera’s New York City forms the backdrop for the labors of workmen both off the bike and on. The massiveness of the “Pneumatic Driller” (a la the D. Rivera piece) juxtaposes with the more slender workman of the wheel but all the figures are involved in body debilitating physical labor. The jackhammer seems to be either making the cyclist’s job more difficult or it may be working for a future of less cobble torture. One of the riders breaks concentration for an instant, seemingly questioning the driller’s motives. Original art measures 18″ x 24″ and is composed of tissue paper, urethane and acrylic on canvas. The Original piece is not for sale. It is a gift to my dear friends George, Robin and Alicia Rivera in gratitude for their guidance and friendship. Giclees are available as listed below.